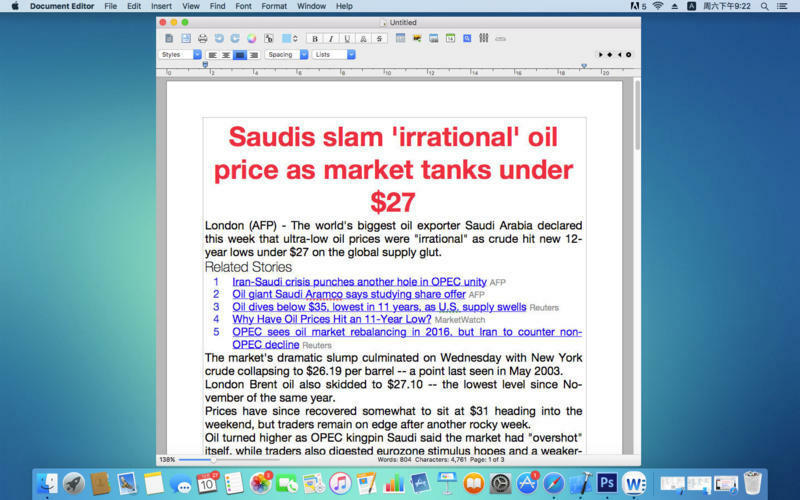 Is there a better alternative to Document Editor? 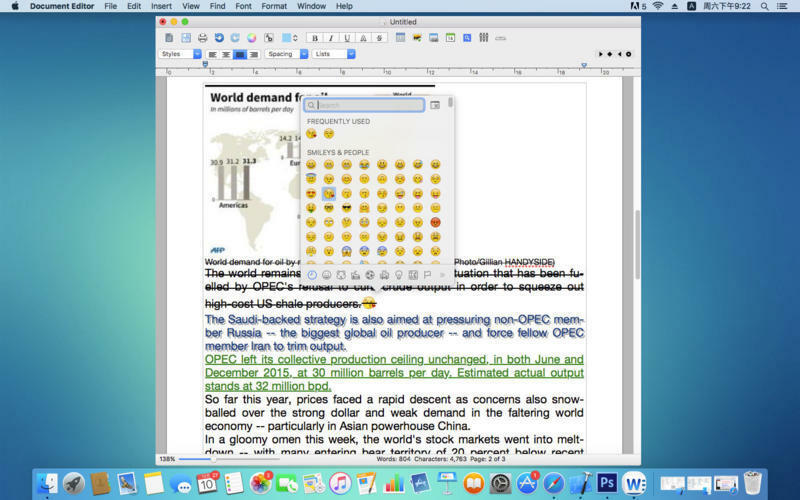 Is Document Editor really the best app in Word Processing category? 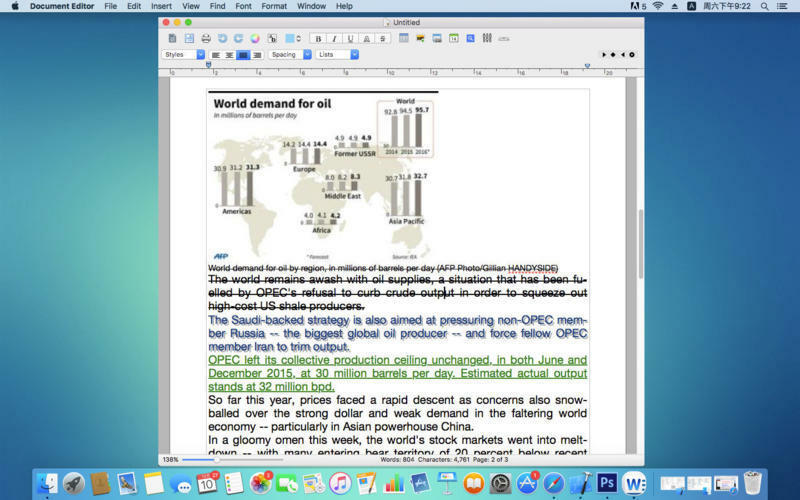 Will Document Editor work good on macOS 10.13.4? 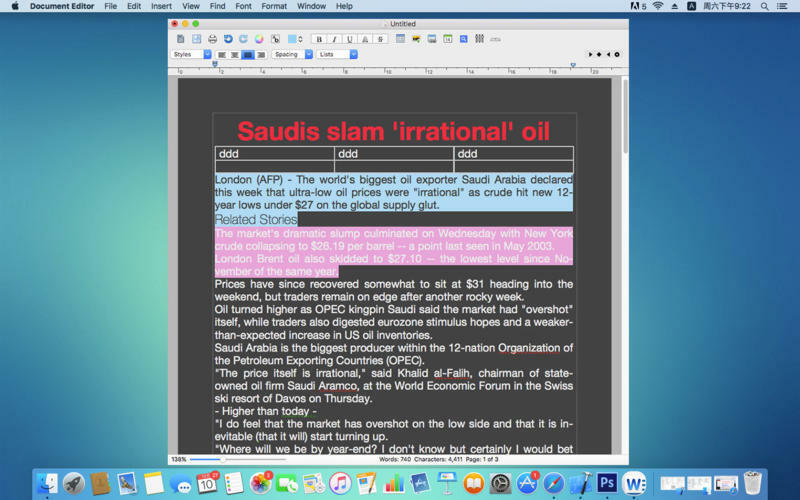 Document Editor is a magic and easy-to-use word processor that makes writing and picture with perfect layouts, also supports Retina resolutions and exports to other common formats: pdf, rtf, doc et al. To insert tables and pictures for ricking you documents. Automatic save function lets you keep data safety. Focus Mode(Full Screen) can give you the pure pleasure of writing. selection of text by text style, table, paragraph style, color, etc. Document Editor needs a review. Be the first to review this app and get the discussion started! Document Editor needs a rating. Be the first to rate this app and get the discussion started!